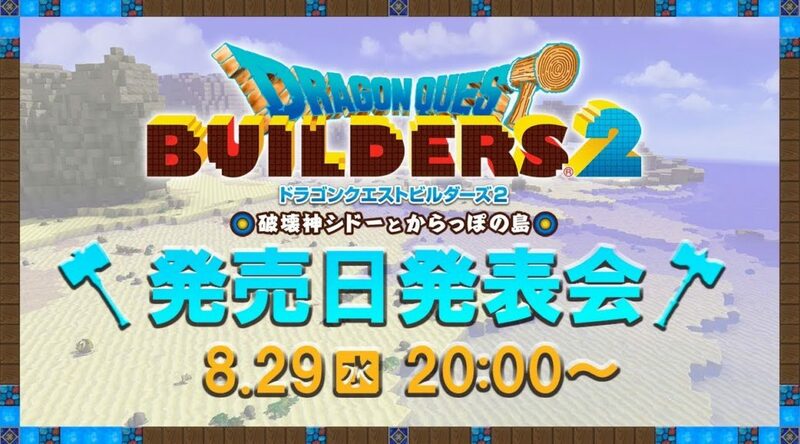 Square Eni has announced a livestream to announce the release date for Dragon Quest Builders 2 for Nintendo Switch in Japan. The livestream will begin August 29, 2018 8pm JST / 4am PT. We’ll keep you updated when new information comes..